The Sarawak River Cruise provides a unique and different experience for you event. Embrace the change! 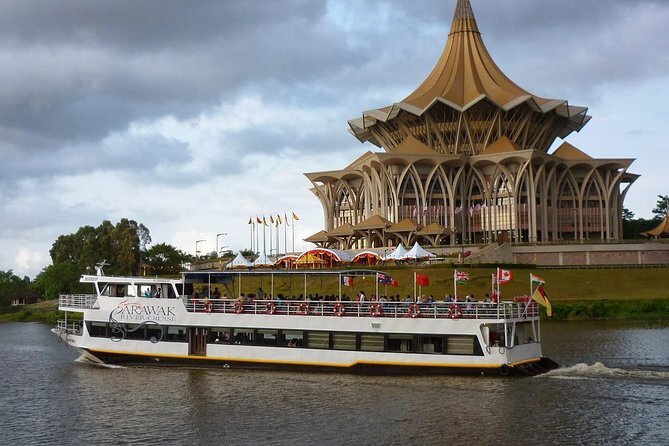 Sarawak River Cruise is the best way to enjoy a breathtaking 360’ panoramic view of the Kuching skyline and the historical landmarks that dot the riverbank. A cruise on the Sarawak River provides the unique insight of the riverine of the life of Kuching. You will pass “tambangs,” small house like boats used for ferrying locals across the river from the Malay Kampong built on stilts and also the fishing village. You will also have a full view of Astana, former residence of the Rajah Brooke and now the Governor’s residence. The constant changing of this living scenery gives you the best picture of the history and lifestyles in Kuching. The Sarawak River is the best way to view the city. The river cruises and the tambang give you an unobstructed view of the city and its surroundings that is impossible to experience from dry land.” Sungai Sarawak serves as the main highway for many dwellers whose live in the coastal villages outside Kuching.